We just adore Farley and are thrilled to have him as the SIRE to our DAM, Teddy Bear. Farley has great confirmation. 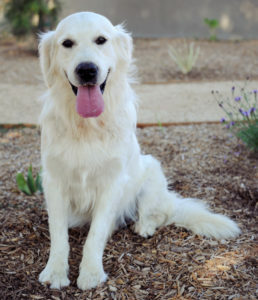 He is an intelligent, fun loving, playful and loyal companion combined with a great temperament. Farley brings a great English line from Europe. 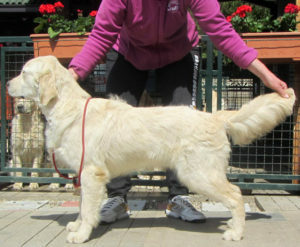 Both parents are Serbian Champions from the Sanitacteam Day Kennel. Note his PennHIP results. Farley's hips are tighter (better) than over 90% of Golden Retreivers in the data base. This is an excellent and almost impossible score to receive. Yeah Farley! Off to the shows next Farley! Additioanlly, Farley also had his hips and elbows tested while in Europe through FCI and his hips were A/A and elbows 0/0 which are both excellent scores.